Who’s going to back down first…me or the gorilla? I’m not sure who won, but I’m glad I was on the other side of the glass! This photo was taken in 2010 at Animal Kingdom in Florida. My dad and I took a trip down there to see one of the last Space Shuttle launches ever. We figured that we’d visit Animal Kingdom while we were down in Florida and I was able to capture this moment between a gorilla and I. When I look at this image, I can’t help but wonder what is going through this gorilla’s mind. It’s as if he could jump right through my monitor and charge right at me. Luckily, from what I remember, he wasn’t too aggressive. So what do you think is going through this gorilla’s mind? Let me know in the observations below. 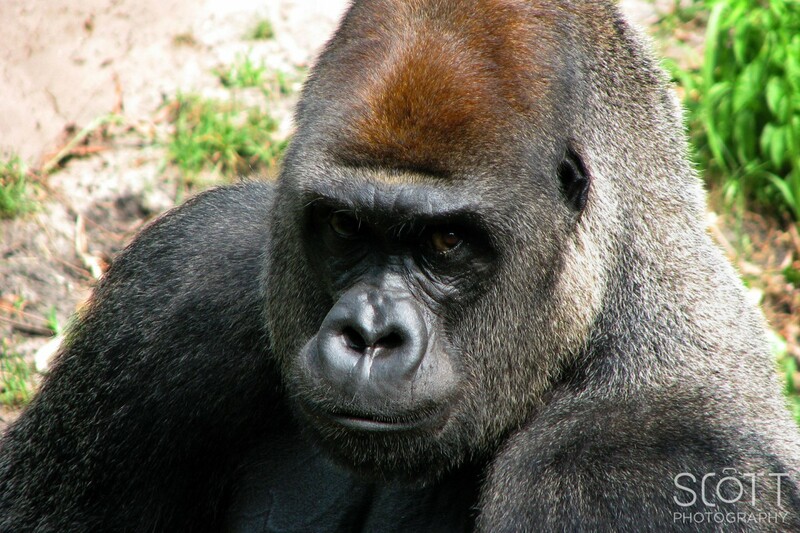 This entry was posted in Animals, Nature and tagged in Animal Kingdom, Gorilla, Zoo.